When a massive downpour hit Beijing on June 23, it took just a few minutes for a photograph taken by micro-blogger Yang Di to be forwarded thousands of times on the Internet. The next day, countless newspapers published his photo of rainwater flooding the Beijing subway on their front page. Yet, despite their use of his work, only four media outlets have since spoken to him or given him credit for the image. Yang's story is just one example of the "copy culture" that is becoming more prevalent among micro-bloggers. With the advent of faster ways to share images and words on the Internet, the first inclination of many computer users has become to publish their work online as quickly as possible. That, in turn, has given rise to legal reviews of copyright laws and new questions about the best way to protect intellectual property. The temptation to copy has only become stronger as micro blogs - which typically prevent users from constructing messages of more than 140 letters or characters - have become more common. In the first half of the year, the number of Chinese who wrote microblogs increased by 208.9 percent, going from 63 million to 195 million, according to a recent report by the China Internet Network Information Center. The country was then the home of 485 million Internet users. Yang Di's crash course in copyright law began on June 23. At about 5 pm that day, he found himself and other passengers huddling inside the Taoranting subway station, on Beijing's line 4, trying to keep out of the downpour that was raging outside. 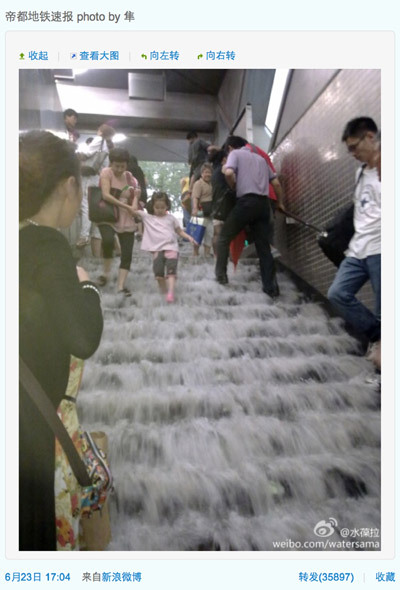 "I was stunned to see the water flowing down the stairs at the station entrance like a waterfall," said the 23-year-old Beijing resident. "So I took out my cell phone, shot a picture and sent it to a friend." Minutes later, his friend told him she had posted the photo, with his blogger name attached, on her microblog. It, she said, had already been forwarded thousands of times. Yang's astonishment at that news only increased when he received a phone call that evening from a news outlet, asking for permission to use the photo. He granted it almost without hesitation. His pride at seeing his work taken seriously quickly turned to vexation. Later that night, he learned from some friends that reproductions of his photograph had appeared on many other media websites and the front pages of various newspapers. Most of them, such as Xinhua News Agency, had used the image without telling him or attributing to him, not even mentioning the blogger name used by his friend who had first posted the image. "I just felt I should get what I deserve," said Yang, who, when he took the picture, was a student at the Florida State University back in China for summer vacation. Yang resolved to defend his copyright in a simple and direct fashion: He began calling the media outlets that had used the photo. First on his list was Xinhua News Agency, which heard from him the day after he had taken the photo. His assertion that the photo was his was enough to win him an apology and a promise of compensation. "But at that time, the number of media that were forwarding the photo and citing Xinhua as the original source was already countless," Yang said. "I didn't have the time and energy to call them one by one." So far, only four media outlets, including China Daily, have sought his permission to use the image and given him credit for it. 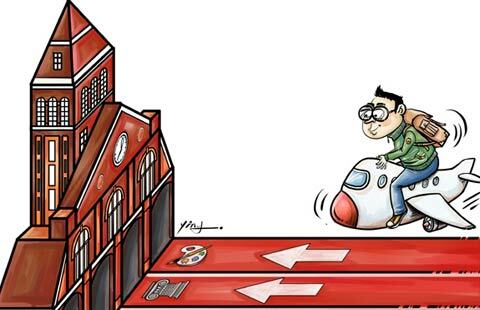 Those outlets, along with Xinhua, have also paid him 4,000 yuan ($626) in remuneration. Yang said microblogs are unlike some other forms of media in at least one important way: Internet users can go to them to acquire news and information without paying. "But I think authors should still have copyright protection (on microblogs)," he said. He said he never expected to make money from the photo, and he understands why those in the media would rush to publish such an image on the Internet. Yang said he would never refuse to let a media organization reproduce a photograph. He merely wants them to ask for permission to use his work. He said the first media outlet that asked him about the photo reached him while he was still stuck at the subway station. "As you can see, I wasn't very hard to find." In response to the wide use of Yang's work, many netizens have left comments on the microblog on which the image had first appeared, supporting his attempt to defend his rights. Many condemned media outlets and netizens for forwarding the photo without citing the original source. The increasing popularity of micro-blogging in China has led to the advent of new forms of literature, such as micro-novels and micro-essays. More and more computer users, meanwhile, have found microblogs to be a good way to promote their products and artistic works. Even lawmakers and police are using microblogs to publish proposals and statements. For whatever reason, many Internet users choose to forward other people's posts rather than write original ones. In doing so, they at times give credit to the original poster. But many simply "recreate" the posts. Zheng Yuanjie, a writer of books for Chinese children and a micro-blogger on Sina Weibo, the most popular microblog site in China, said he has seen his posts copied many times. He said such infringements have been difficult to combat, largely because they have been perpetrated by anonymous Internet users. Recently, though, a user who had registered his real name, Huang Jianming, on the account, reproduced one of Zheng's posts verbatim. Zheng decided to speak up. "It's worse than pirating my books," he told Xinhua News Agency on Aug 8. "At least when they pirate my books, they mention my name." Huang Jianming, 28, a network manager for a medical equipment company in Shenzhen, later said he thought the accusation was unfair. He said he had no idea the news story he had copied online was Zheng's work. "I simply read it online and copied it to my blog," he said. Huang said he tried to explain his reasoning to Zheng online but to no avail. Their conversation ended on a sour note. Huang said he worked as a news reporter at Yangcheng Evening News from 2002 to 2003 and that he too despises plagiarists. He said a limerick he had written about the 26th Summer Universiade in Shenzhen was later copied by someone who did not list him as the author of the work. As for Huang, he said the post he reproduced merely described an event that was being reported on in the news. Convinced he had done nothing wrong, he refused to delete it. Huang said he thinks Sina Weibo should be responsible for notifying microblog writers if something they post was already put up by others. "It's very easy to do that with technology," he said. And as microblogs become more popular, the companies that provide micro-blogging services are also competing against each other to attract users and post more blog entries. Perhaps in consequence of that, it has become common to see the entire contents of celebrities' microblogs copied from one company's website and transferred to another's without the permission of the authors. This past September, the economist Han Zhiguo announced that he only has one microblog and that it is on Sina.com. He said writings attributed to him on other micro-blogging websites have been copies and imitations of his original work. Similarly, in July, Sina.com began displaying copies of photos of the Olympic champion Liu Xiang celebrating his birthday, which he had published on another site, and of the Hong Kong singer Karen Mok eating ice cream in Italy. Wang Qian, professor from East China University of Political Science and Law's intellectual property school, said current laws on intellectual property rights can protect photos and writings posted to microblogs. "Blogs are under protection as long as they are original works," he said. "That has nothing to do with the way the content was published, whether it was on a microblog, in a newspaper or in books." As to what constitutes a "work", Wang said a microblog containing 140 Chinese characters is long enough to be considered one but shorter entries may not be. "The key lies in originality," he said. "If the paragraph only describes a news event using common expressions, it is not protected by the law no matter where it was posted." He said photos are usually considered to be "works". In Yang's case, though, media outlets were in their rights to use his photo without informing him of their plans. It, he explained, merely showed a heavy rainfall that was being discussed in the news. Even so, it would have been safer to give him credit, or at least to publish the online name of Yang's friend who originally posted the image or a link to her blog. Some media outlets instead said the image was "provided by a blogger". Wang said such an attribution might still leave them exposed to charges of copyright infringement, because "the law protects the right to attribution for authorship". But he said he doesn't think legal attempts to protect the content of microblogs will become common. 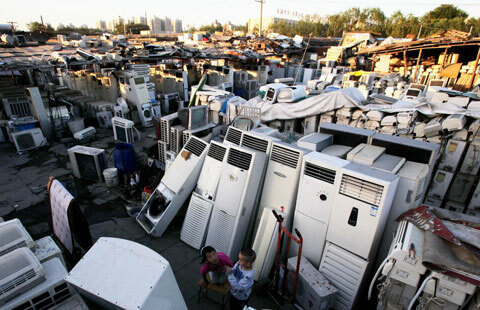 When only 140 words are being copied, the amount of damage being done is usually fairly small, Wang said. "And punitive damages, which exceed the amount needed to compensate an aggrieved party for actual losses, are not applied under court systems in China," he said. "What we have instead are compensatory damages, meaning damages that are equal to the loss suffered by a copyright owner. As a result, the damages a person receives sometimes won't even be equal to the cost of litigating."